Trust the Gravina’s name for your sliding windows! In a room with low ceilings or a lot of empty horizontal space, many homeowners choose to install sliding windows. 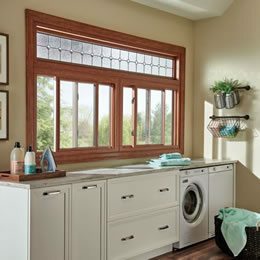 Gravina’s has installed sliding windows to bring natural light into a variety of different spaces, including bedrooms, kitchens, living rooms, and sunrooms. Our certified consultants will show you different designs from many different manufacturers so that you can choose the best windows for the price that fits your budget.